The National Grange will hold its 145th Annual Convention Tuesday, November 8 through Saturday, November 12 in Tulsa, Oklahoma. 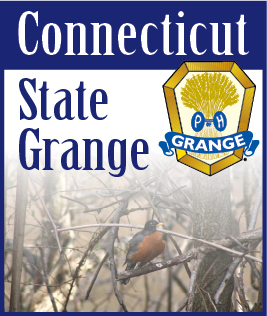 The Grange, America's oldest nonprofit organization advocating for agriculture and rural America, boasts a membership of more than 200,000 people and more than 2,700 local Grange chapters across the United States. Delegates from the 36 State Granges, as well as Grange members from across the country, will gather to discuss 158 resolutions, passed in states and sent to the National Grange for consideration to become policy for the organization. Resolutions that pass then become policies for the National Grange, which then advocates on behalf of those measures to elected officials and government agencies for its members. National Grange President Ed Luttrell said the annual session is especially exciting because this is the first time Oklahoma will host a National Grange convention. "We have a strong presence in the Sooner State, which has over 35 million acres of farmland and vast rural stretches, because the hometown values of our organization resonate with the people of Oklahoma," Luttrell said. Luttrell will open the convention with his annual address at 2 p.m. Tuesday, Nov. 8, in the Sequoia Room of the Tulsa Marriott Southern Hills hotel. Luttrell will focus his attention on the need for continued investment in the expansion of rural broadband, creative solutions to benefit the U.S. Postal Service in order to maintain rural free mail delivery, the simplification of the tax code, and the desire for legislative and regulatory roadblocks to be removed so that clean energy production may soon become reality. The address and other convention events is open to the public. Grange members who attend the convention can receive the Seventh Degree, the Order's highest level and enjoy fellowship with other Grange members. Everyone can participate in workshops and discussions on topics related to agriculture and rural America. Several Granges will receive awards for community service, deaf awareness and other programs the Grange supports, and 19 Granges will be honored as Distinguished Granges. Several individuals will also be honored as Heroes of the Grange on Wednesday, Nov. 9.